Every game has its rules. They can be very basic or highly complex. Any baseball fan who knows the infield fly rule can tell you just how complex the rules of the game can get. Scouting is a game. Our founder, Sir Robert Baden-Powell, even said so. It’s a game with a purpose but it’s still basically a game. And like almost all games, there are rules for the game of Scouting. Our rules can range from the very basic – “Be prepared!” and “Keep it simple, make it fun!” – to the very complex, as you might find in the Guide to Advancement. Why do we have rules? Well, in most games, it’s so the players will be able to figure out the score, and whether it was attained fair and square. Rules define how points are scored, how many players are allowed on the field to try to score, and what the opposing team can do to prevent those points from being scored. There are other rules that guard the safety of the players and help to prevent injury, or punish those who try to injure others, ranging from being hit by a pitch (batter, take your base) to major penalties like clipping or hooking in ice hockey which leaves a team short-handed for an extended period of time. In Scouting, we usually don’t penalize our players for rule infractions, or allow their fellow Scouts to find ways to prevent them from “scoring points” – rather, we build upon the experience and try to encourage positive behaviors rather than punishing negative ones, and we encourage all Scouts to “score” in the form of advancement and recognition. But we still have rules in place that attempt to prevent dangerous situations from occurring and to ensure that points are scored fairly for all. Parents of youth athletes are often advised by their children’s coaches to learn the rules of the game that their kids are playing, and to be aware of the variations in rules from league to league or tournament to tournament. Parents new to a particular sport, such as one they didn’t play as a child, often don’t understand the “why” behind the rules of the game, and will sometimes complain about officiating if they see something that doesn’t make sense to them. Learning the rules is important for parents and spectators so they can better understand their child’s experience and how to support it and discuss it with them. As with sports parents, Scouting parents need to know the rules of Scouting as well. All too many well-meaning parents who don’t understand our unique program and the emphasis on the youth running the show often feel tempted to step in and “fix” things that should not be meddled with. Even adult volunteer leaders sometimes get this wrong, and take over a troop from the boys who rightfully should be running things – certainly not as perfectly as an adult would, but perfection isn’t the point. 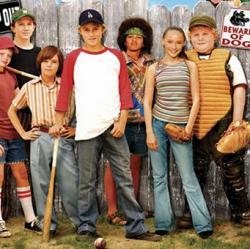 And just as sports rules are there to help ensure safety, so are the rules of Scouting. As much as an outing to Uncle Fred’s back forty to do some archery or target shooting might sound like fun to a pack of Cub Scouts, their adult leaders who don’t know the rules of Scouting are leaving themselves open to serious trouble if they carry out such an activity. There’s such a plethora of rules and regulations in Scouting that nobody could be expected to know them all, but we can at least be aware that the rules exist, and we can check the resources when planning an activity to make sure it complies. The BSA’s initiative requiring all volunteers to be basic trained for their positions is a good step in the right direction. It helps to ensure that all volunteers know what their jobs entail, and understand the existence of all the guidebooks and handbooks that are available to help volunteers play by the rules. Parents and leaders alike need to try to understand the reason behind the rules and why certain rules are quite specific in what they allow. It’s puzzling sometimes to look at the age-appropriate activity chart in the Guide to Safe Scouting and try to figure out the rhyme or reason behind, say, allowing Bears to use pocket knives while preventing them from going canoeing or rock climbing. The BSA’s risk management folks have given these things careful consideration and made their decisions based on what’s best for all concerned, not the least of whom are the boys. And ours is not to try to figure out a way to circumvent the rules, such as by calling a paintball game a “family outing” instead of a troop activity. When in doubt, read the resource carefully and if there’s any question, don’t do it (or ask someone who knows, such as your unit commissioner). There’s one other big reason why we follow the rules. It’s point number seven: A Scout is Obedient. Scouts (and their leaders) follow the rules and laws of Scouting and their country and don’t disobey them even if they feel they’re wrong. Scouters show their Scouts the meaning of Obedient by practicing it themselves, right down to obeying the speed limit and keeping hands on the wheel while driving to a campout. If our boys recite the Scout Law but see us break the rules, the message we send is that the other eleven points of the Law can be called into question as well. 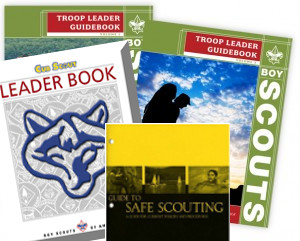 Informed parents and leaders know the rules of Scouting and follow them. Do your best to make sure your fellow leaders and families know about BSA’s methods, rules and policies, and make it a practice to fulfill A Scout is Obedient!